It is very rare that a dog leaves here with an injury or illness after staying for boarding. However, just to be on the safe side, we offer a unique Health Warranty Program that reimburses you for veterinary care your dog might need after boarding with us, based on the guidelines listed below. Just send us your vet bill and we'll reimburse you for up to $250. The cost is a very nominal $5 per boarding stay, regardless of how many dogs you check in (note that this is per stay, not per night). Please note that due to the popularity of this program, we have decided to make it mandatory going forward. We hope you'll agree that $5 is a very small price to pay for the peace of mind it provides. For frequent boarders, we automatically waive the fee if you have purchased $50 in warranty coverage during the past year. The Health Warranty Program is described below. Tucker Pup's offers a safe environment for dogs who are boarding with us. We keep everything very clean, monitor dogs very closely who are playing together, pay close attention to feeding and medicine, and so forth. However, there are inherent risks associated with taking your dog to any boarding facility, or any time dogs are together for that matter, including a dog park. The Tucker Pup's Health Warranty program offers you peace of mind while your dog boards with us. If your dog is injured or suffers an illness as a result of boarding here, we will reimburse you for your veterinary bill(s) up to $250. Certain limitations and exclusions apply - see below. Please note that you will still be responsible for the costs of boarding with us for the nights that your dog stays with us. $5 per boarding stay, regardless of how many dogs or how many nights. Note that this is per boarding stay, not per day. Therefore, the warranty cost for a 5-night boarding stay for two dogs would still only be $5. We limit the cost to be $50 in health warranty payments in a year's time - after that, you would still receive coverage, but the cost would be zero until our system calculates that you haven't spent $50 on the coverage in the past year. $250 per pet per boarding stay. There are risks that exist any time dogs are together, and most of the time they have nothing to do with us. For example, a dog could come in with a contagious condition, but shows no signs of it, and the owner may not even be aware of it. 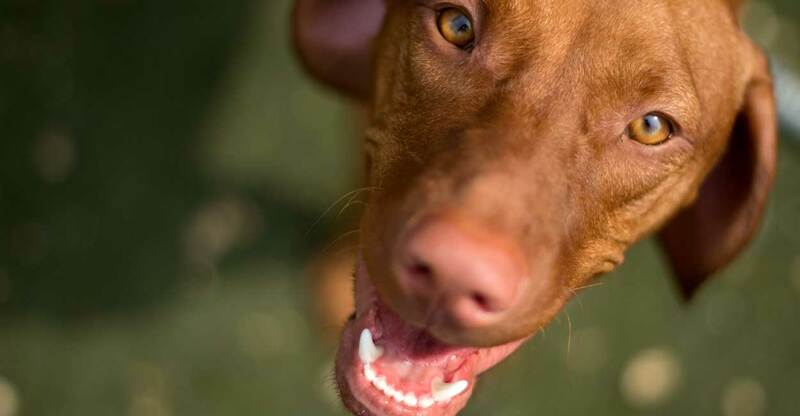 In addition, a dog can be playing nicely, but still be injured by a sharp nail or an inadvertent bite - it does not mean the other dog was necessarily aggressive or that our staff wasn't paying attention. Further, one dog may instigate another dog to react, even if doing so playfully. For example, a puppy could get in a dog's face, and the other may snap back to tell the puppy to back off. All of these situations are normal and nobody is really at fault, not even necessarily the dog who bit another. They are dogs being dogs. Of course, if we have a dog in play who is a danger to another, we have to manage the situation, but oftentimes it is not a matter of black and white, but instead shades of gray. As a person coming to a dog facility, you accept and must share in those risks. Tucker Pup's offers a payment of $250 for a very modest fee with a yearly cap, and we believe that represents a substantial portion of the risks and covers most situations. We cannot be expected to pay for 100% of the risk if the cost goes beyond $250, because as the owner of a dog that is in play, you must share in the responsiblity for your dog's behavior and in the risks that exist when dogs are together. We do recommend veterinary insurance, which normally has a low monthly premium and can cover expensive treatment. Please also note that the limit remains, even if you believe we should have noticed an injury or ailment that your dog has sustained and you believe the cost of care is higher due to a delay in treatment. If we notice anything wrong, our staff is instructed to contact you right away. However, there are many legitimate reasons why we may not have noticed anything wrong. We do not inspect every dog all of the time, unless there is good cause, including any sign of injury, illness, or unusual discomfort. Sometimes due to exacerbating factors such as underlying health issues or age, a dog can have a worse reaction to a medical condition than should be reasonably expected. For example, an older dog could develop a cough, but because of its age or a pre-existing condition such as a weak immune system, the cough could become worse than should be expected and could possibly incur far higher veterinary bills than normal due to an extended stay, x-rays, multiple diagnostic tests, and so forth. It is not reasonable to expect that Tucker Pup's would pay for all of these additional costs. Our limit of $250 takes into consideration that a customer shares in the financial responsibility for the care of their dog, especially when risk factors exist that are out of our control and beyond what should be reasonably expected for a similar illness or injury to another dog. Depending on the situation, if another dog is specifically involved in an injury and was at fault, we may be willing to contact the other dog owner to help seek reimbursement from them on your behalf. We cannot guarantee that the other person will pay, as not every person believes they should be held responsible. Their failure to pay should not be a reflection on us, and we are no more liable based on their decision to pay or not to pay. The Health Warranty Program exists for our boarding customers, as there is a minor cost incurred with a boarding reservation that helps cover the cost. The risks described herein also apply to dogs here for daycare, but the program doesn't cover daycare dogs. Any and all original claims under this warranty program must be submitted within 3 days after Tucker Pup's relinquishes care, custody, or control of the Pet to the Pet Owner after a boarding stay. The Pet Owner must also provide written documentation from the vet that is satisfactory to Tucker Pup's. This documentation must include a receipt and a written diagnosis. We need to receive an actual receipt from a vet showing that the care was provided, at what cost, and on what date. An estimate for future care does not suffice. If there are questions about the diagnosis, the written diagnosis must be included, and we may request additional documentation to help identify the care provided and diagnosis. If necessary, we may need to speak with your veterinarian to ask further questions, and you must grant access to your vet to speak with us. We may not be able to provide reimbursement if we don't have adequate communication, information, or documentation in order to help us make an informed decision. Assuming your documentation is in order and the conditions have been met for this warranty program, we will reimburse you immediately. We can reimburse you in the manner that is most convenient for you: we can write a check, apply a credit to your account, or pay the vet directly. This coverage is the Pet Owner's exclusive remedy in the event of any claim for illness, injury, or medical care for a Covered Pet. Pet Owner shall remain responsible for all charges exceeding the maximum coverage amount. Contagious illness if your dog is properly vaccinated. Some situations are excluded - see the &apos;Exclusions&apos; section below. If we have communicated to you about an injury or illness that requires immediate care, and you do not go to the veterinarian immediately, the situation could worsen. This could lead to requiring much more expensive care, such as a visit to the emergency room in the middle of the night, or treating an infection that could have been avoided. If this is the case, we reserve the right to pay what would have been a reasonable and expected amount if the care had been received immediately. In addition, we would not be responsible for the cost of other complications or future care that was required due to the delay. The following scenarios are excluded primarily because they are beyond our control, and could happen each time your dog is here. For example, we don't cover stress because a dog could become stressed every time it comes here. We can't be held responsible for that. Any illness, injury, or negative consequence that has occurred once the dog has left our facility, such as an injury on the sidewalk. Illness is not covered for dog 10 years old or older, or under 8 months old. This is because dogs in these age ranges may not have well-developed immune systems that will adequately fight illness. Injury would still be covered for dogs in these age ranges. Illness due to an outbreak that has affected the area, such as widespread canine cough, canine influenza, or brochitis. If an outbreak like this were to occur, dogs can bring it in from their buildings, dog parks, other pet facilities, and even from walks on the street, and the owners may not be aware at first. This exclusion applies even if you weren't aware that there is an outbreak, as outbreaks can occur very rapidly with little or no warning. Diarrhea, vomiting, or other conditions caused by non-contagious conditions such as stress, gastroenteritis, or eating feces. To explain further, some dogs may be stressed each time they come here, and that would be out of our control. In addition, gastroenteritis is not contagious, so it's very possible that a dog came in with it, or that it occurred due to eating feces (a condition called "Coprophagia.") Of course, we make every attempt to keep dogs from eating feces, but it can be very challenging to keep certain dogs from doing that, and some can even eat their own at night. Coughing if your dog has barked extensively while here. Coughing if your dog was rescued from a shelter within the past two months. Symptoms that repeat in your dog each time it boards here. For example, if you are requesting reimbursement for diarrhea treatment time after time, that it a sign of something like stress or eating feces, and we can't be held responsible. Illness or coughing if your dog was not vaccinated within 48 hours of your stay. For example, if your dog received a canine cough vaccination on your checkin day, it wouldn't necessarily have time to kick in and your dog's immune system may not be able to fend off a virus yet. You should allow at least 48 hours for vaccinations to be taken before boarding here. Illness caused by not eating or drinking. Please note that we monitor feeding very carefully and do everything we can do help them eat, including leaving their food in their boarding suite at night. In addition, we have water available for the dogs at all times, including in their boarding suite at night, plus on the play floor. Illness due to over-exertion. The dogs play throughout the day, but they do have plenty of opportunity to rest, including in their own boarding suite throughout the night. Each day, most of the dogs are asleep on the floor for several hours. We do watch for signs of over-exertion, and give extra nap times accordingly, but some dogs don't show signs of over-exertion. In addition, all dogs have different levels of energy, so what may be too much play for one dog would not be enough for the other, even in the same breed. Further, some dogs may not sleep well throughout the night, possibly due to stress. Over-exertion could lead to deydration or a weakened immune system, which could cause an illness or lethargy, either while here or once the dog arrives home. This should not be confused with a contagious condition. Symptoms due to Hemorrhagic Gastroenteritis (HGE). This is a non-contagious condition in dogs characterized by sudden vomiting and bloody diarrhea. Click here for more information on HGE. A skin reaction to the shampoo or conditioner that we use, if your dog has received a bath while here for boarding. If your dog is allergic to certain shampoo or you use a special shampoo, we would need to know that in advance and we will mark your record that way in our system. We are happy to use any special shampoo that you bring. A seizure, shock, or similar neurological condition. There is nothing in the Tucker Pup's environment that specifically causes a seizure or abnormal neurological activity. Even if you have never seen signs of a seizure in your dog before, pre-existing risk factors could easily exist that have nothing to do with us (for example, you may have rescued your dog, and weren't aware that it had seizures before you got it). 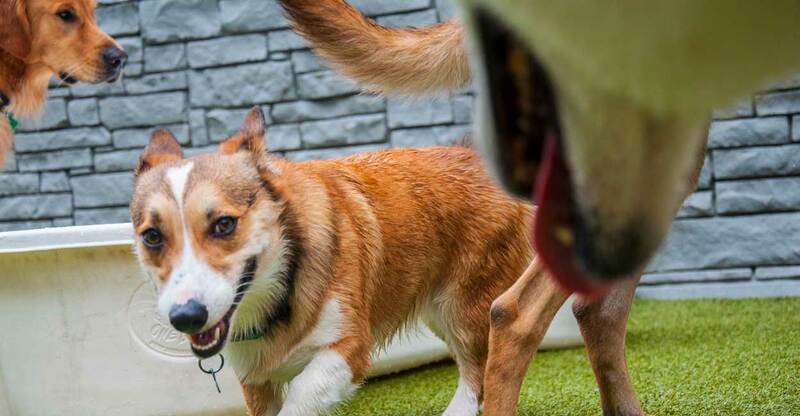 Sometimes a dog reacts negatively to stress or large play groups, and this is a risk that you take when bringing your dog to any boarding facility. In addition, sometimes a dog is simply pre-disposed to getting seizures (for example, from age, genetics, being overly nervous) and suddenly has one while in our care. Bloat. Bloat occurs when a dog's stomach flips internally, often from playing after eating (similarly to if a person swims too soon after eating). Bloat can be deadly, as it can be very sudden and come on with little or no obvious warning signs. We take reasonable precautions to avoid bloat, including having each dog rest for a specific time period after eating. Some dogs could experience bloat even after our rest period. We cannot control this, as we create the same environment for all dogs, and risk factors could exist with a specific dog such as an underlying health condition, stress, over-eating, eating too quickly, and so forth. If we see a dog experiencing bloat, we would attempt to take it to the nearest vet as quickly as possible. However, it is possible that our attempts are too late or that a nearby vet is not immediately available (for example, we could be driving to a vet and find out it is closed, or go to an emergency vet that is far away, both of which would take valuable time). Bloat can overtake a dog very suddenly. We cannot be held responsible if a dog experiences bloat and has a negative outcome or incurs heavy veterinary expenses. Injury that the pet has caused itself. Whapping its tail against an object such as a doorway, wall, playground equipment, boarding suite, etc. Injury caused by simply running, going up and down stairs, jumping from low heights, or playing with another dog where aggressive behavior has not occurred and/or where there is no visible wound such as from a tooth. Example include, but are not limited to, a pulled or strained muscle, slipped disc, spinal injury, ACL injury, and so forth. A condition such as a wart that takes many days to develop, if your dog has only been here for less than the incubation period for that condition. For example, a wart normally takes 1-8 weeks to develop, so if your dog has only stayed here less than that, it is very unrealistic that any wart would have developed during that time. We have pools available that the dogs can get in and cannot be held responsible if your dog's skin has a reaction to water. We have playground equipment that is a few feet off the ground and cannot be held responsible if a dog jumps off and twists its ankle or otherwise injures itself. We separate the inside play room with barriers that are higher than four feet from the floor. We cannot be held responsible if a dog jumps over the barrier (or attempts to do so) and lands wrong on its foot or otherwise injures itself. We use chemicals to clean our facility each day that are made for canine environments. We cannot be held responsible if your dog has had a reaction to these chemicals, as we use them every day and they have proven to be safe with the dogs in our care. Illness or diarrhea caused by your pet's food or medicine, or by us following the feeding or medicine instructions you supply us. Please bear in mind that changing your dog's diet can cause diarrhea at first, so we don't recommend it in conjunction with a boarding stay. Injury or other consequence while the the dog is in the hands of the owner or authorized agent, or when we are passing over a dog to the owner or agent, either during checkin or checkout, including if bitten or injured by another dog in the lobby or entering our building. Injury, illness or other consequence resulting from whelping or pregnancy. Injury, illness or other consequence resulting from environmental factors outside of Tucker Pup's control, such as Acts of God, terrorism, etc. In the event that the pet requires ongoing treatment after its owner has taken possession of the pet, the Pet Owner hereby agrees to authorize his veterinarian to forward a copy of the diagnosis and treatment history to Tucker Pup's (such records may be required before any claim is paid). Reimbursement under this certificate shall be Tucker Pup's maximum liability and any money paid by Tucker Pup's to the veterinarian may be deducted from such reimbursement amount and shall not be in addition to other such reimbursements. Tucker Pup's, at its own expense, shall have the right and opportunity to examine any covered Pet whose injury or illness is the basis of any claim when and as often as it may reasonably require during the pendency of such claim. Any provision of this certificate, which on the Effective Date, is in conflict with the statutes of the State in which the Pet Owner resides on such date is hereby amended to conform to the minimum requirements of such statutes. Any controversy or claim arising out of or relating to this certificate shall be settled by arbitration in accordance with the rules of the American Arbitration Association.